Points with the same longitude lie in lines running from the North Pole to the South Pole. By convention, one of these, the Prime Meridian, which passes through the Royal Observatory, Greenwich, England, establishes the position of zero degrees longitude. 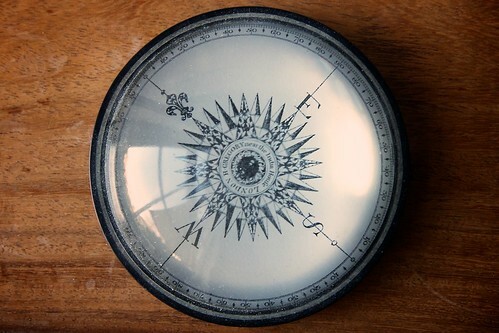 The longitude of other places is measured as an angle east or west from the Prime Meridian, ranging from 0° at the Prime Meridian to +180° eastward and −180° westward. The United Kingdom and its former colonies established the Royal Observatory at Greenwich just outside of downtown London in 1675. This national observatory was established as the starting location for longitude or the y-axis for the British coordinate system. Since the United Kingdom was a major colonial power and a major navigational power of the eighteenth and nineteenth centuries, their maps and navigational charts with the prime meridian passing through Greenwich were promulgated and many other countries adopted Greenwich as their prime meridians. 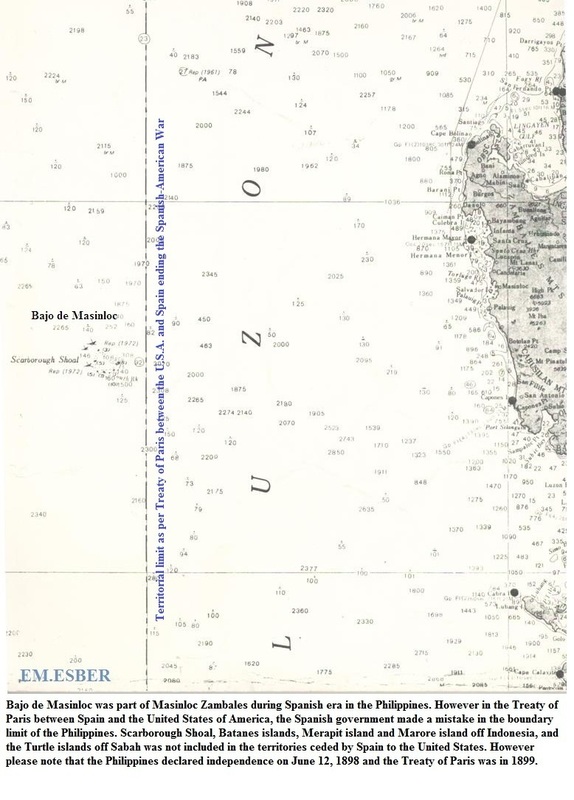 Britain had more shipping and ships using the Greenwich Meridian than the rest of the world put together (at the time) : the British Nautical Almanac started these charts in 1767. By 1884, international travel was commonplace and the need for a standardized prime meridian became readily apparent. Forty-one delegates from twenty-five "nations" met in Washington D.C. for a conference to establish zero degrees longitude and the prime meridian. By the time of the conference, the United Kingdom and its colonies as well as the United States of America had already begun using Greenwich as the prime meridian; this weighed heavily on the selection process. 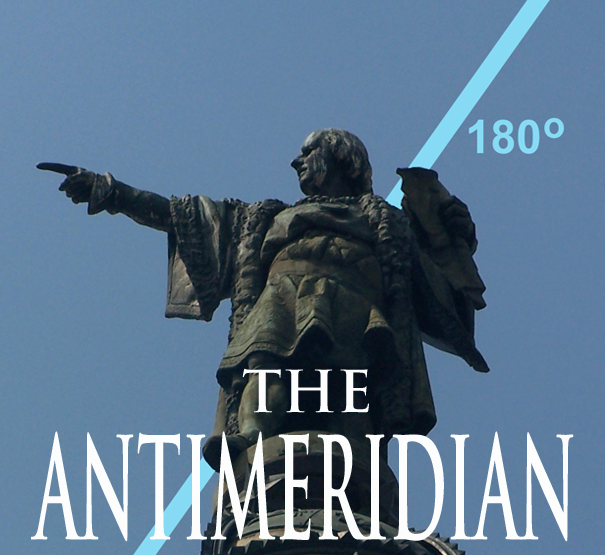 The 180th meridian or antimeridian is the meridian which is 180° east or west of the Prime Meridian with which it forms a great circle. It is common to both east longitude and west longitude. The Greek letter λ (lambda), is used to denote the location of a place on Earth east or west of the Prime Meridian. With the establishment of the prime meridian and zero degrees longitude at Greenwich, the 1884 Washington International meridian conference also established time zones, following the concepts of Canadian railroad engineer Sir Sanford Fleming (report). By establishing the prime meridian and zero degrees longitude in Greenwich, the world was then divided into 24 time zones (since the earth takes 24 hours to revolve on its axis) and thus each time zone was established every fifteen degrees of longitude, for a total of 360 degrees in a circle. So, it is used as the basis for the International Date Line because it for the most part passes through the open waters of the Pacific Ocean. However, the meridian passes through Russia and Fiji as well as Antarctica. The International Date Line can cause confusion among especially airline travelers. The most troublesome and odd situations usually occurs with short journeys from west to east. To travel from Tonga to (American) Samoa by air, for example, takes approximately two hours but involves crossing the International Date Line, causing passengers to arrive the day before they left. This often causes confusion in travel schedules, like hotel bookings unless those schedules quote times in UTC, but they typically do not since they must match domestic travel times, local transport, or meeting times. Because the agreed IDL do not follow the 180° longitude in the middle of the Pacific Ocean a kind of odd daily date situation occurs. For 2 hours every day, between 10:00 and 11:59 UTC, there exist 3 different weekdays concurrently. For example at UTC time Tuesday 10:15, it is Monday 23:15 in American Samoa, which is 11 hours behind UTC, and it is Wednesday 00:15 in Kiritimati, which is 14 hours ahead of UTC. For the first hour (UTC 10:00–10:59), this is true for inhabited territories, whereas during the second hour (UTC 11:00–11:59) it is only true if you count the uninhabited maritime time zone 12 hours behind UTC. Longitude at a point may be determined by calculating the time difference between that at its location and Coordinated Universal Time (UTC). Since there are 24 hours in a day and 360 degrees in a circle, the sun moves across the sky at a rate of 15 degrees per hour (360°/24 hours = 15° per hour). So if the time zone a person is in is three hours ahead of UTC then that person is near 45° longitude (3 hours × 15° per hour = 45°). The word near was used because the point might not be at the center of the time zone; also the time zones are defined politically, so their centers and boundaries often do not lie on meridians at multiples of 15°. In order to perform this calculation, however, a person needs to have a chronometer (watch) set to UTC and needs to determine local time by solar or astronomical observation. The details are more complex than described here: see the articles on Universal Time and on the equation of time for more details. The International Date Line (IDL) is linked to the antimeridian. The advantage of having the Prime meridian in Europe is to get an Antimeridian crossing on a North/South axis the largest liquid desert in the world, the Pacific Ocean so avoiding certain habitable land. In crossing this line there is a date change of one day : the calendar day to the east of the line is one day earlier than it is to the west of the line. Crossing the IDL traveling east results in a day or approximately 24 hours being subtracted, and crossing towards west results in a day being added. So if one crosses the date line at precisely midnight, going westward, one skips an entire day; while going eastward, one repeats the entire day. Line date change diverges from the antimeridian being shifted eastward between 5° S and 51°20 'S to leave in the same time zone New Zealand's Chatham Islands in the east and far north-east, the Kermadec Islands (whose name is issued from Jean-Michel Huon de Kermadec who commanded the Espérance on the Bruni d'Entrecasteaux expedition to find the lost expedition of Jean-François de La Pérouse). 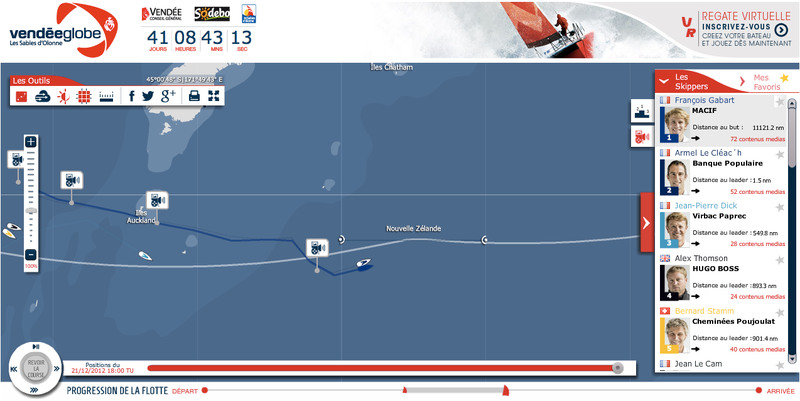 This difference does not affect the Vendée Globe racers who have both sailed south of the latitude 51° 20'S when they reach the Antimeridian (around 53° S). The establishment of the prime meridian in Greenwich in 1884 permanently established the system of latitude and longitude and time zones that we use to this day. Latitude and longitude is used in GPS and is the primary coordinate system for navigation on the planet. Note : the term Anti-Meridian is sometimes confused with Ante Meridiem. Ante Meridiem is latin for before noon. Usually shown in English as "a.m.". Similarly, post meridiem, after noon, is shown in English as "p.m.". 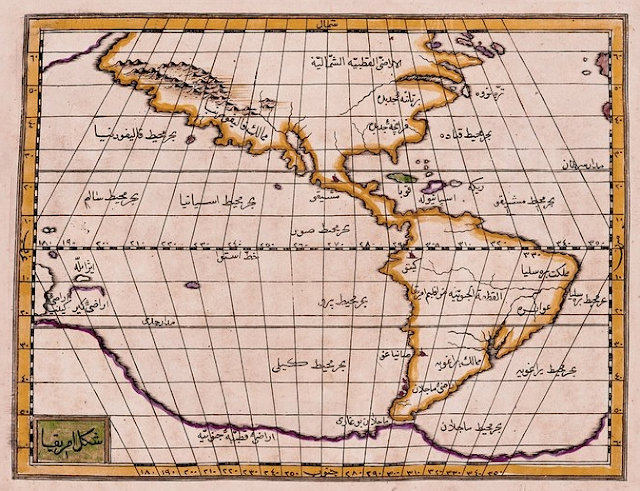 The first date line problem occurred in association with the circumnavigation of the globe by Magellan's expedition (1519-1522). The surviving crew returned to a Spanish stopover sure of the day of the week, as attested by various carefully maintained sailing logs. Nevertheless, those on land insisted the day was different. This phenomenon, now readily understandable, caused great excitement and confusion at the time, to the extent that a special delegation was sent to the Pope to explain this temporal oddity to him. The effect of ignoring the date line is also seen in Jules Verne's book "Around the World in Eighty Days", in which the travelers, led by Phileas Fogg, return to London after a trip around the world, thinking that they have lost the bet that is the central premise of the story. 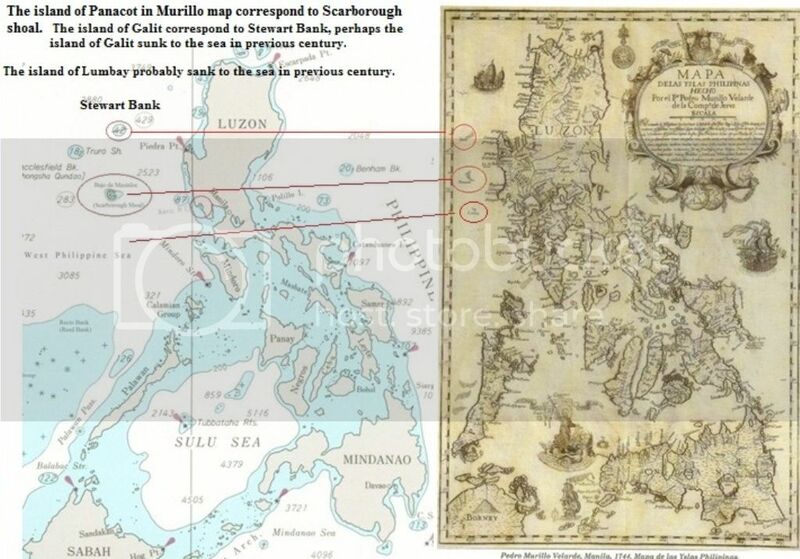 Having traveled the direction opposite to the one taken by Magellan, they believe the date there to be one day later than it truly is. The map of America, also called The New World, covers the region between the 60 degree parallels in the north and south. 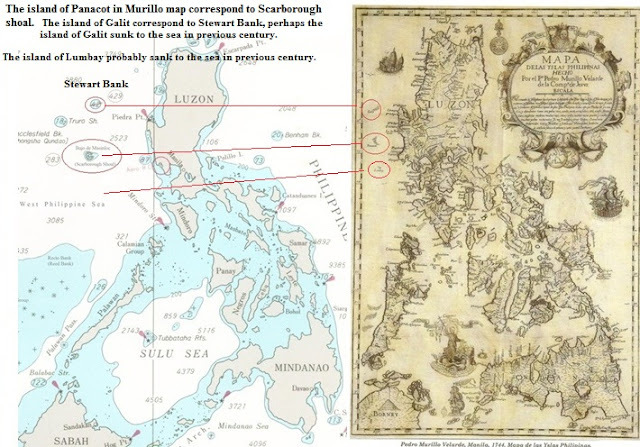 The lines of latitude and longitude are drawn intersecting at right angles in the manner of Mercator. GeoGarage blog : How does a country go about changing its time zone ? South West Cape is a cape on the south coast of Stewart Island, New Zealand. beaten to that honour by the tiny Murphy Island, which lies some three kilometres to the west and some 100 m further south. Stewart Island (NZL) 11th-17th January 2001(Port Pegasus)- Vendée Globe 2000/2001. Yves Parlier (FRA) Open 60' skipper "Aquitaine Innovations" in Steward Island fixing his broken mast on his own without assistance respecting Race rule. Yves finished his round the world with his mast fixed in Stewart Island. "Aquitaine Innovation" arriving in Port Pagasus, with a broken mast ! The New Zealand Sub-Antarctic Islands has five island groups (the Snares, Bounty Islands, Antipodes Islands, Auckland Islands and Campbell Island) in the Southern Ocean south-east of New Zealand, occupying the stormy latitudes of the Roaring Forties and the Furious Fifties, known also as the Albatross Latitudes. The islands situated between the Antarctic and Subtropical Convergences and the seas, have a high level of productivity, biodiversity, wildlife population densities and endemism among birds, plants and invertebrates. 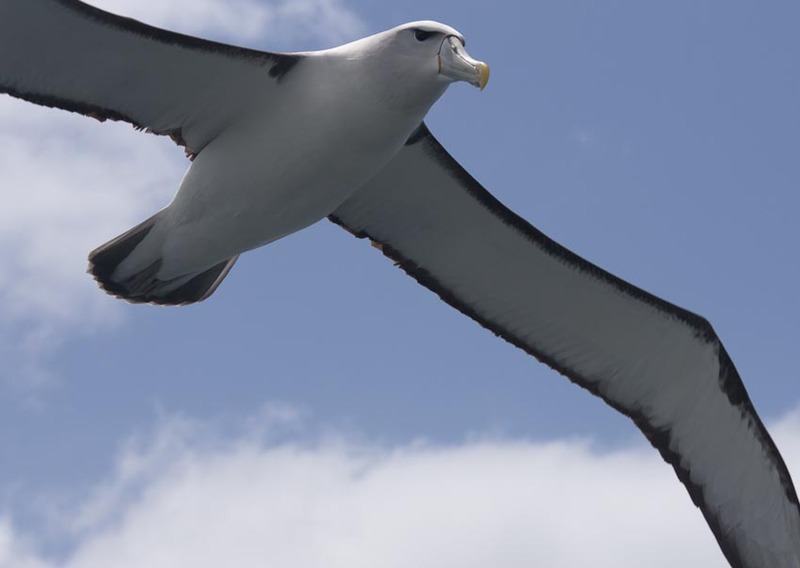 They are particularly important resident for the large number of pelagic seabirds and penguins that nest there. There are 126 bird species in total, including 40 seabirds of which five breed nowhere else in the world. The New Zealand Sub-Antarctic Islands shows a pattern of immigration of species, diversification and emergent endemism, provides particularly good opportunities for research into the dynamics of island ecology. 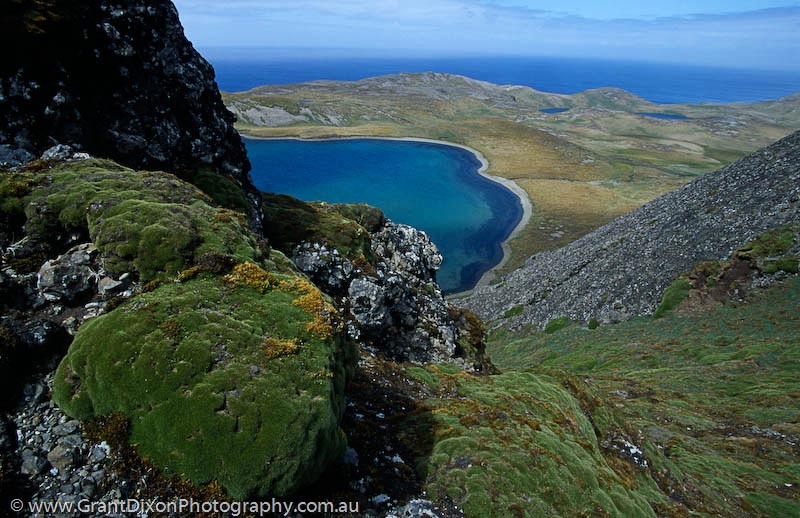 The New Zealand Sub-Antarctic Islands are remarkable for their high level of biodiversity, population densities, and for endemism in birds, plants and invertebrates. The bird and plant life, especially the endemic albatrosses, cormorants, petrels, shearwaters, fulmars, prions -and “megaherbs” are unique to the islands. 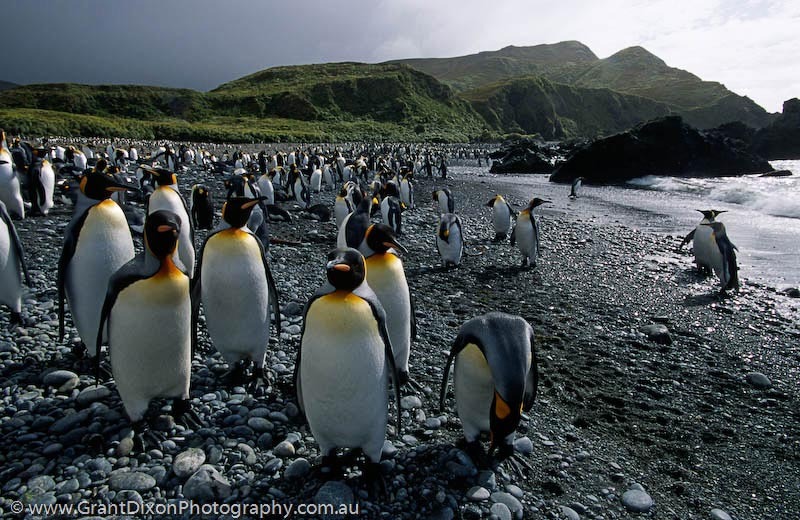 Penguins too, are special in the Sub Antarctic region. Of seven penguin species breeding here, three (Snares crested, Erect crested and Royal) are endemic to the region. The land birds indicate, through their diversity, just how long these islands have been isolated. The North East Island is the main island of the Snares Island group, approximately 200 kilometres (120 mi) south of New Zealand's South Island. The island forms a central triangle with peninsulas to the north, south and to the west and is some 3 by 2.5 km (1.9 by 1.6 mi) long by wide. Off the South Promontory lies Broughton Island, the second largest island in the group. South off the western peninsula coast lies the islet Alert Stack and off the North Promontory lies the North and South Daption Rocks. 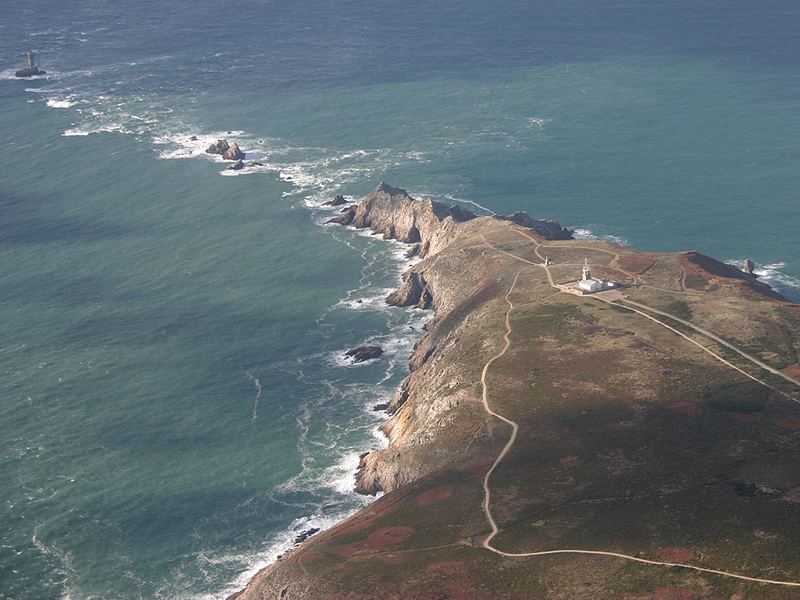 The highest elevation of 130 m (427 ft) is at the western peninsula. 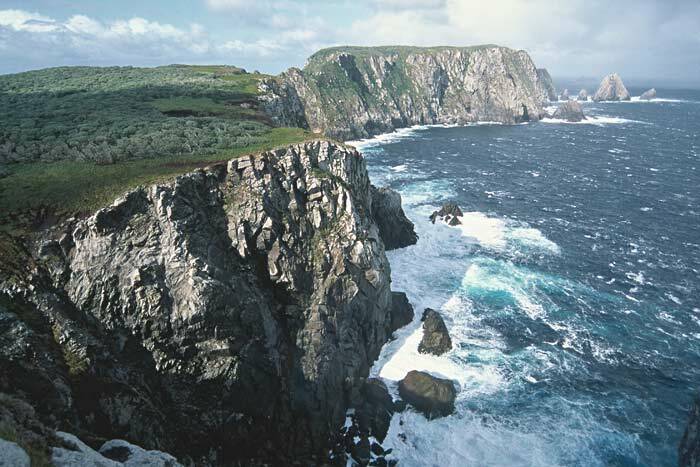 The southwest part of North East Island, Snares Islands, where the coastline is oriented to the northwest, showing the rocky cliffs that are typical of much of the south, west and north coasts exposed to prevailing westerly storms. 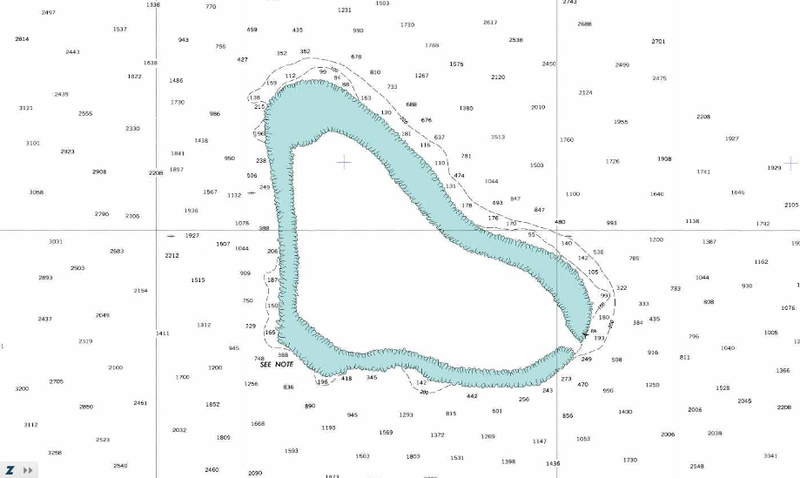 The Bounty Islands are a small group of 13 uninhabited granite islets and numerous rocks in the south Pacific Ocean that are territorially part of New Zealand. It lies about 670 km (416 mi) east-south-east of the South Island of New Zealand, and 530 km south-west of the Chatham Islands. The Bounty Islands were discovered by Captain William Bligh in 1788 and named after his ship, HMS Bounty, just months before the famous mutiny. During the 19th century, they were a popular hunting ground for sealers. The Bounty Islands are literally rocks in the ocean. 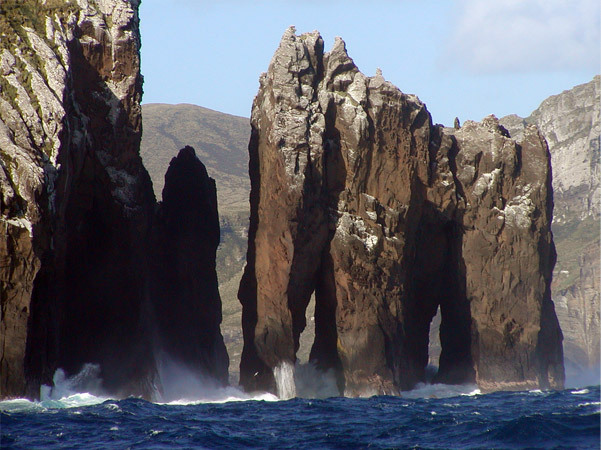 The Antipodes Islands are inhospitable volcanic islands to the south of—and territorially part of—New Zealand. They lie 860 kilometres (534 mi) to the southeast of Stewart Island/Rakiura. The Auckland Islands are an archipelago of the New Zealand subantarctic islands and include Auckland Island, Adams Island, Enderby Island, Disappointment Island, Ewing Island, Rose Island, Dundas Island and Green Island. They lie 465 kilometres (290 mi) from the South Island port of Bluff. 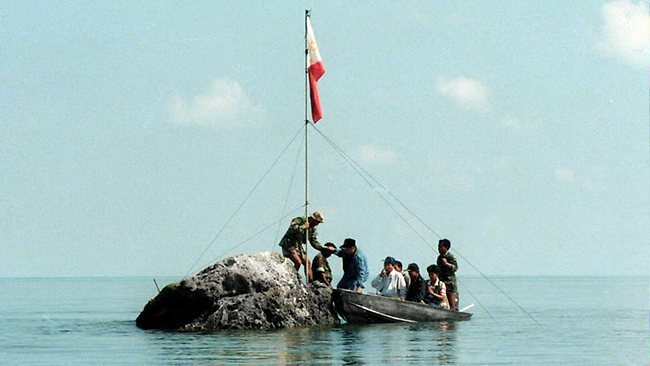 The islands have no permanent human inhabitants. Campbell Island is a remote, uninhabited, subantarctic island of New Zealand and the main island of the Campbell Island group. The island is surrounded by numerous stacks, rocks and islets like Dent Island, Folly Island, Isle de Jeanette Marie, and Jacquemart Island, the latter being the southernmost extremity of New Zealand. 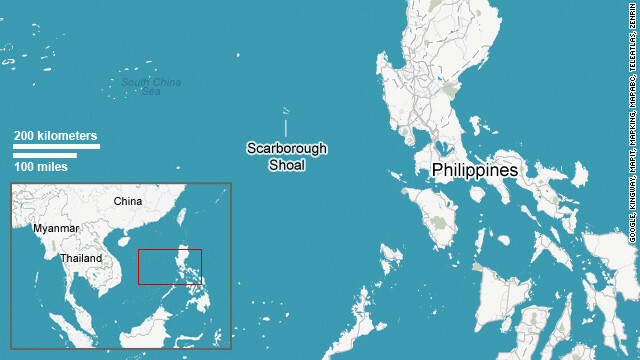 The Island is mountainous, rising to over 500 metres (1,640 ft) in the south. A long fjord, Perseverance Harbour, nearly bisects it, opening out to sea on the east coast. Landscape, Campbell Island with Jacquemart Island in the background. Macquarie Island (or Macca) lies in the southwest corner of the Pacific Ocean, about half-way between New Zealand and Antarctica. About 1500 km south east of Tasmania, Macquarie Island is a tiny fragment of land between Tasmania and Antarctica in the Southern Ocean. Politically, it is part of Tasmania, Australia since 1900 and became a Tasmanian State Reserve in 1978. In 1997 it became a World Heritage Site. The island is home to the entire Royal Penguin population on earth during their annual nesting season. Ecologically, it is part of the Antipodes Subantarctic Islands tundra ecoregion. Walruses are sort of the Goldilocks of the North Pole — the chunks of sea ice they call home must be just right. If the ice floe is too large, the walrus can't get to water quickly enough to escape a polar bear attack; too small, and the ice can't support their weight and the walruses go splashing into the sea. 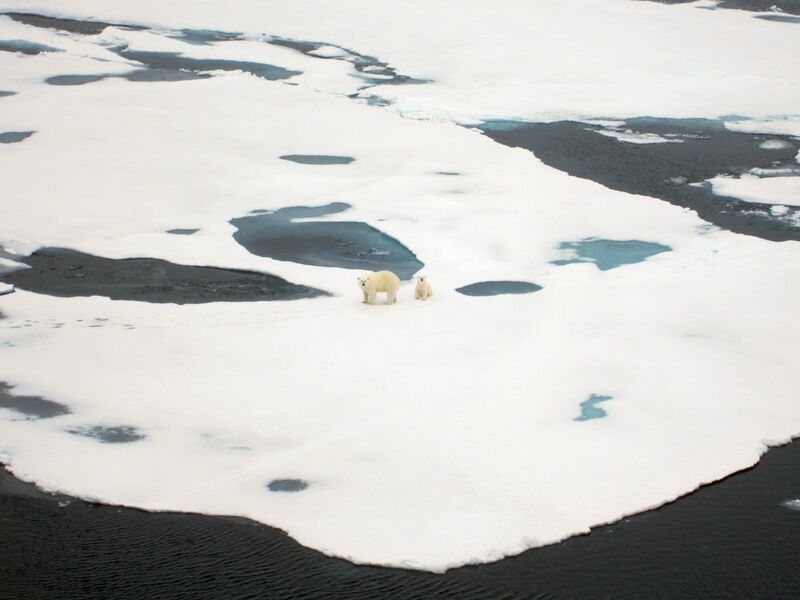 Two polar bears seen on the Arctic ice during a research cruise to map the ice in 3D. Now, a new technique for mapping the 3D structure of Arctic ice promises to help researchers better understand the habitat needs of walruses and other wildlife. The 3D ice maps could also aid in planning shipping routes, research cruises and other Arctic endeavors, said Chandra Kambhamettu, a computer scientist at the University of Delaware who developed the technique. "We're interested in objectively characterizing these habitats and how they're changing over time, as well as how to measure the effects of warming on the region," Kambhamettu told OurAmazingPlanet. German research vessel Polarstern used during an Arctic expedition to map sea ice in 3D. Kambhamettu's team used the system, which relies on two cameras mounted to a research vessel, on a recent two-month cruise that traversed nearly 10,400 miles (17,000 km) of the Arctic Ocean. The 5-megapixel single lens reflex cameras, which are mounted to the ship side-by-side, 2 meters (6.6 feet) apart, capture a new high-resolution image each second. Because the cameras work in stereo — capturing simultaneous images from opposing angles, like our own eyes — Kambhamettu's team can resolve the depth of the ice from the images. They have developed algorithms to match images from the left camera to ones from the right camera, and an algorithm that can recognize subtle textures within the bright white chunks of ice. "Like the stereo camera system, humans also see objects through two eyes, but we just automatically understand what's near or far from us," Kambhamettu said. "The computer system doesn't have the same intuition, so we have to write algorithms to get those measurements." To be sure, his team isn't the first to use stereo photography to reconstruct a landscape in 3D. But his team's recent Arctic expedition seems to be the first instance of researchers using stereo photography to measure 3D changes in ice cover over time, Kambhamettu said. The technique produces maps with greater detail than radar or satellite images, and it's about one-tenth the cost of LiDAR (light detection and ranging), a type of laser radar that produces comparable data. A database with ice-depth maps and habitat data collected during the recent expedition should be up and running — and open to other researchers — by summer 2013, Kambhamettu said. During the first six months of the Coast Survey blog, we have focused largely on the field work – surveying sparsely charted Arctic waters, responding to calls for help following hurricane destruction, finding dangers to navigation, and even identifying historic wrecks. 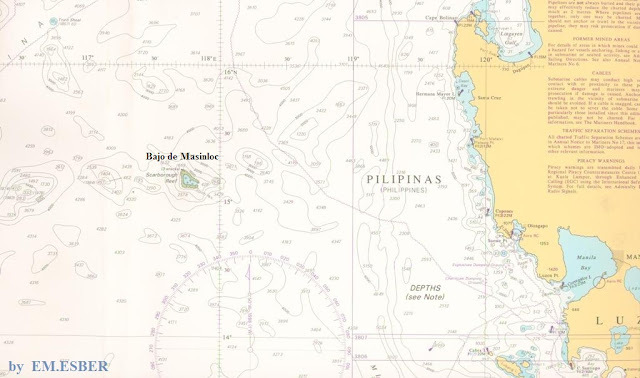 We haven’t covered the day-in, day-out job that is our reason for existence: creating and updating the country’s nautical charts. 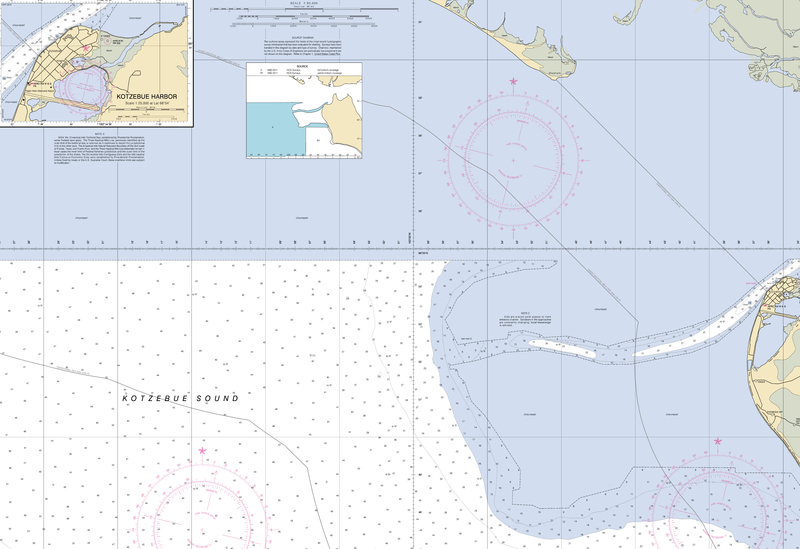 Coast Survey has compiled and maintained the nation’s nautical charts for nearly two centuries, after President Thomas Jefferson approved legislation in the Ninth Congress in 1807, and we now maintain a suite of over a thousand charts. Haven’t we finished charting all of the U.S. waters? 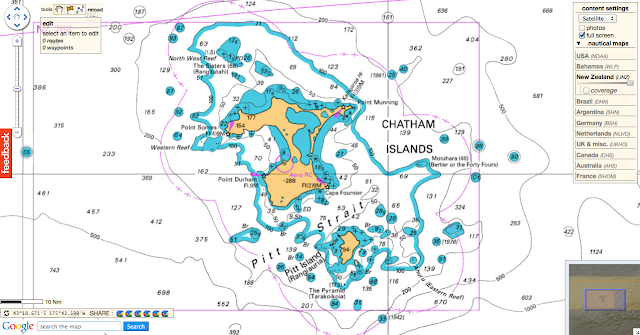 The simple answer is no: because storms alter seafloors, and water depths constantly change due to shifting shoals, submerged hazards, and coastal development, Coast Survey must continually update the nation’s nautical charts. Charting those changes, and ensuring chart accuracy and precision, is essential to protecting life and property. The more complicated answer may surprise you. Many of our nation’s marine shipping lanes, harbors, and port areas haven’t been mapped since the 1920s, when measurements weren’t as precise – or even as accurate ‒ as is possible now. Some areas, especially in Alaska, haven’t had bottom measurements since the mid-1770s. Coast Survey’s Marine Chart Division employs many of the nation’s best cartographers. Since 2009, cartographers have applied approximately 50,000 critical charting corrections to NOAA’s various charting products. 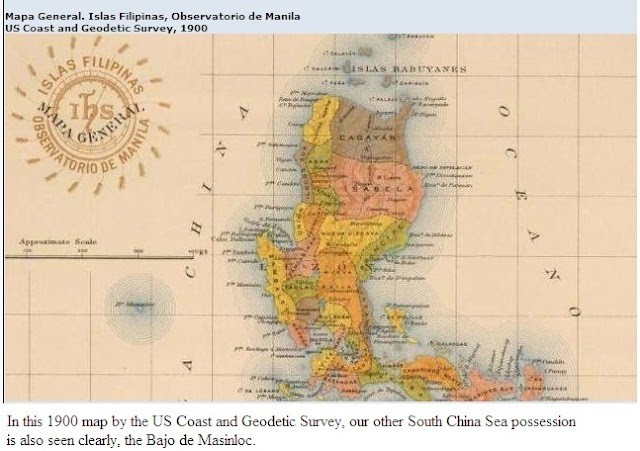 In fiscal year 2012 alone, cartographers applied more than 11,000 critical corrections to chart updates. Over those four years, Coast Survey has also produced over 500 new chart editions (of current charts), and built 200 new NOAA ENC® (NOAA electronic navigational charts). This includes 155 new chart editions and 56 new ENCs in fiscal year 2012. 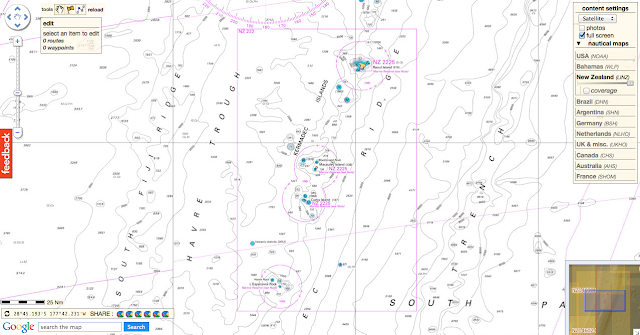 Coast Survey issued new Kotzebue chart 16161, partially depicted here, in May 2012. This year, Coast Survey produced several brand new nautical charts, including a new chart for the Port of San Juan, Puerto Rico, and for the Kotzebue Harbor in Alaska, where increasing ocean commerce required improved navigational products. Coast Survey also released an updated chart of Norfolk Harbor, with a new inset of the Inner Harbor, which has developed as a multi-purpose port area. In addition to updating old charts, and creating new ones, Coast Survey is making more information accessible from its electronic navigational charts. Effective early 2012, several of NOAA’s ENCs that cover the approaches to the East Coast now alert mariners when they are approaching the right whale seasonal management areas, giving them better information to plan to reduce their speeds or avoid the areas altogether. The seasonal management areas, as encoded into the ENCs, graphically show the areas where vessels greater than 65 feet in length must travel at 10 knots or less to reduce the risk of collisions with right whales. The ENCs will also provide for an alarm on the ship’s electronic chart display and information system as vessels enter the speed zone, further alerting the bridge watchstander of speed restrictions. We are seeing a gradual shift from paper nautical charts to raster navigational charts and electronic navigational charts. Over the last four years, the public has purchased nearly 428,000 print-on-demand paper charts, and another 392,000 traditional paper charts. 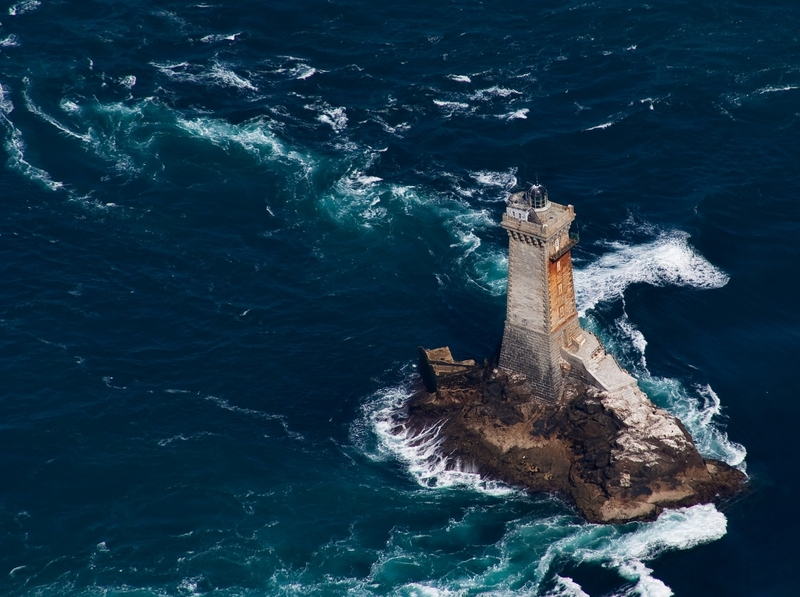 Reflecting the booming technology in navigation, the public has downloaded countless millions of the electronic and raster navigational charts that NOAA offers free on the Internet. Even while cartographers use their expertise to update and innovate, there is still the matter of uncharted U.S. waters – waters that remain to be surveyed. 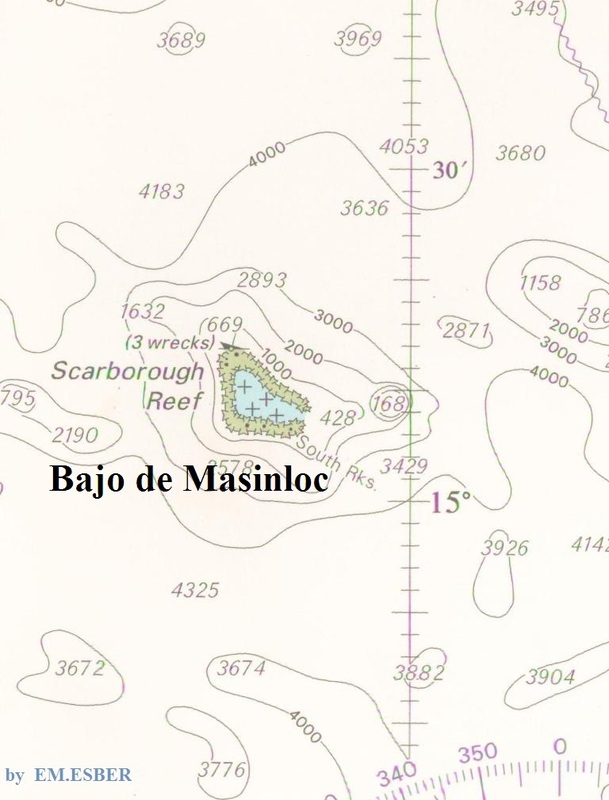 Coast Survey is mandated to provide nautical charts for all U.S. territorial waters and the U.S. 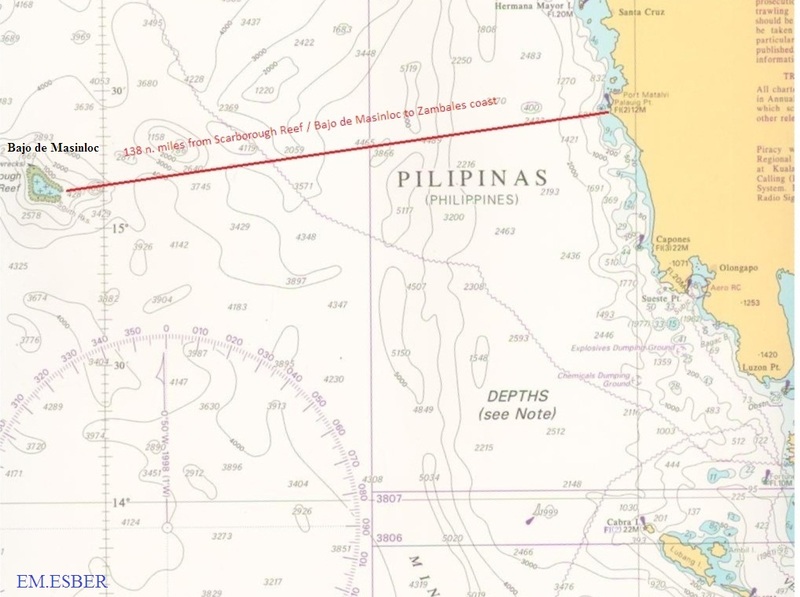 Exclusive Economic Zone, a combined area of 3.4 million square nautical miles that extends 200 nautical miles offshore from the nation’s coastline. A complete survey of all of those waters would require 545 ship years and $5 billion just to acquire the data. Lacking those resources, NOAA has instead established priorities for the hydrographic surveys that acquire data necessary for reliable charts. Those priorities are updated annually, and are available on Coast Survey’s website, as NOAA Hydrographic Survey Priorities. A critical need for new or updated charts is especially emerging in the Arctic, and Coast Survey’s Arctic Nautical Charting Plan addresses the tasks ahead. Commercial mariners and recreational boaters will always rely on NOAA’s charts to keep them and their passengers and cargo safe from harm. NOAA’s cartographers will always work to earn that trust. If you note a chart discrepancy, please report it through our online service.